If you own a website or you work in the SEO (Search Engine Optimization) business, you probably know that ranking in Google or other search engines like Yahoo or Bing requires a lot of links pointing to your website. There are many variables taken into consideration by Google, but backlinks remain the most important factor as it was proven time and time again that only websites with high quality backlinks rank in the top spots for highly competitive searches. There is an old saying in the SEO community that “content is king” and all you need to do in order to rank high in Google is to have high quality content. If you are reading this page, you probably know that this is just a bogus claim that wants to confuse people into thinking that they should not care about off-site optimization. The hard truth is, backlinks matter a lot, and content alone can rank you only in uncompetitive niches where nobody else wrote on your topic. In competitive niches, there are tens, hundreds or even thousands of websites that come up with high quality content. How can Google differentiate between them? This is where backlinks come into play. The more high quality backlinks you have, the more power and trust your page will have. So, to put the “content is king” legend to rest, we can easily say that content is not king. Maybe “content is duke” would be a better term, as all SEO experts know that “backlinks are king“. Page Rank (PR) – The Google Page Rank is a very old metric that gives a value to web pages. The value ranges from zero to ten. Page Rank uses an exponential scale, and research into it has shown that each additional point for PR means five time more power. As you can see from the above table, there is huge difference in power between pages with high PR and pages with low PR. While PR is still a very good indicator about a page’s strength, it is important to know that PR is not updated in real time. Google used to update the Page Rank visible to the public four or five times a year, but it stopped the public update two years ago. The PR currently displayed by the Google Toolbar and the PR checkers represents the PR value as of 6th of December 2013. Page Authority (PA) – The MOZ Page Authority is another strength metric for web pages developed by MOZ. Since Page Rank is not updated anymore, people in the SEO community needed another metric to rely on when measuring a page’s strength. Page Authority goes from 1 to 100 and is based on a logarithmic scale. Page Authority is updated in real time and reflects the current value of the metric, unlike Page Rank. Domain Authority (DA) – The MOZ Domain Authority is very similar to the Page Authority, but measures the overall strength of the Domain or Subdomain, not the actual page. While Page Authority is more relevant when it comes to the value of a backlink, Domain Authority is an additional value that will tell you more about the power of the Domain. Outbound Links (OL) – The number of external links on a webpage is very important in determining the value of one of the links. If a page links to ten external sources, than the value of the page is divided by ten and passed on to the linked pages. The more Outbound Links a page has, the less value it passes through the links. Link Juice – This is what matters most when it comes to backlinks. Link Juice (also known as Link Weight) represents the amount of power (juice) a link passes to your website. Link Juice is the result of dividing the Page’s Power by the number of Outbound Links. DoFollow and NoFollow Links – By default, all links are DoFollow, which means Search Engines take into consideration their value. However, because of link spam, many websites have decided to add the “NoFollow” tag to backlinks that can be generated by users in order to distance themselves from those links and tell Google that they do not vouch for the linked websites. The result is that NoFollow links will not pass Link Juice. NoFollow links do not count when checking the number of Outbound Links, because they don’t pass Link Juice. What are High Quality Backlinks? Relevancy – A relevant link is a link coming from a page or domain very related to your topic. if your website is about dog food, a link coming from a page about dog health will be very relevant, while a link coming from a page about sports cars will not be relevant. Trust – In order for your site to build trust and be immune from Google penalties it must receive links from trusted sources. A link from Wikipedia or from CNN will give your website more trust because they are renowned sources. Wikipedia links are all NoFollow and do not pass Link Juice, but they give your website a lot of Trust and are still very useful. Power (Juice) – In order to rank high in Search Engine you must have high power links. 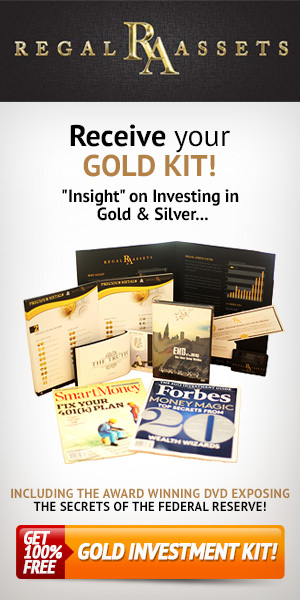 They are a must for any page that wants to rank in competitive niches. Many so called “White hat SEO specialists” will often discard this factor and only speak about Relevancy and Trust because this is the Politically Correct way of doing SEO, but in reality they don’t speak about Link Power because powerful links are the hardest to get and they prefer to do the easy job of getting only Relevant and Trusted links. Of course, the perfect link would be relevant, from a trusted source and with a lot of link power. However, such links are almost impossible to get and you must try to get different links with different attributes in order to build your website’s link profile professionally and achieve good results. As hard as this may seem, you must always remember that it is just as hard for your competitors as well. And now, I will reveal you the secret of how professionals get their high powerful backlinks fast and easy, and you will have an edge in front of your competitors. As incredible as it may sound, there is a way to get high powerful links very fast and very easy. It is called Links Management, and it is a marketplace where anyone can rent or buy backlinks directly from website owners willing to give you a link in exchange for money. Of course, you probably heard that buying links is not recommended and it is a bad thing, but what is the difference between paying a SEO company to get backlinks for you for “free” and paying a website owner to link to your website? To be honest, nothing in this world is free. Even so called free links will take time and effort to build, and time is money, remember? All the scary talk around buying backlinks is nothing more than a false flag, a way for SEO experts to keep the knowledge for themselves and scare away their competitors into not doing what actually works. What better way to keep your competitors in the dark than telling them not to do the only thing that actually works? 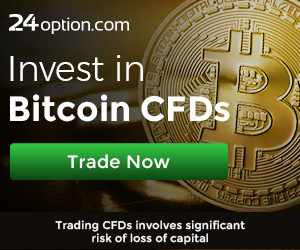 Let’s be honest here, links are being bought and sold from the first day the internet became a lucrative business, and will continue to be bought and sold forever. It’s just like getting advertising on a newspaper or being endorsed by a famous athlete. You must pay for endorsements, because nobody will do it for free, unless you are a NGO or a non-profit website that promotes the well being of the humanity. If you are in a lucrative business, than you must pay for your endorsements, and backlinks are nothing more than endorsements from other websites. So, how does Links Management work and how it will help you get your high power backlinks in no time? it is very simple and straight forward. Once you register an account on their website you will be able to browse through their inventory of websites and choose the exact pages where you want to book your links. You will be able to use many filters in order to select only the websites that match your criteria. You can filter websites by PR, PA, DA, OL, Link Weight, category, country and price. You can even search for keywords in order to find relevant pages. 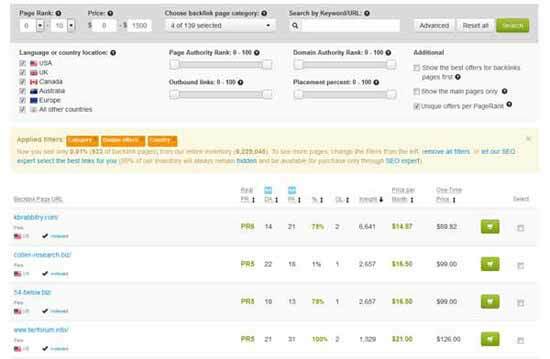 Each page will show you the monthly price for renting a backlink or the One-Time price if you want to permanently buy the link. Once you choose the pages you like you can add them into your shopping cart and proceed to checkout. The website owner will have three days to put up your link. If he fails to do so, you will get your money refunded into your account balance to spend it for other backlinks. With Links Management you have full control of your link building campaign, as you can add links gradually at the pace you want. You can get all types of links from all kinds of websites. Their inventory exceeds 6 million web pages so you will have plenty of websites to choose from. One of the greatest advantages of using Links Management is their managed campaign option. Without any additional charges, you can let their SEO experts handle your link building campaign and gradually purchase your links in a professional way. This way you can benefit from their years of experience in link building while saving a lot of time. By letting their expert manage your campaign you won’t have to worry about anchor text distribution, link velocity and diversity or any other technical mistakes that you can make if you haven’t managed other successful link building campaigns in the past. How long does it take to see results? Will the backlinks stick? Google is a very different beast now than what it was before the Panda, Penguin and Hummingbird updates. The algorithm has been tweaked for years in order to discourage spammers and to avoid ranking weak websites. One of the ways Google defends its rankings from link spam campaigns is the gradual passing of link juice. Once Google discovers a new backlink for your website it will start to pass juice over time. Googlebot will revisit the linking page on a regular basis and will check if the backlinks are still there or if they were removed. 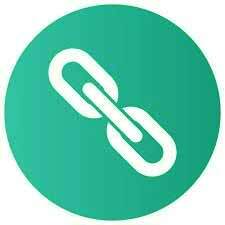 If the linking page or the link is no longer there after a month, you will not receive additional link juice and will also lose the value previously passed to your website. By doing this Google ensures that spam campaigns don’t have the desired effect. Links obtained through spam techniques tend to be removed or disappear very quick, and they will send a negative signal to Google in terms of trust. If you receive 100 links in one week, and after one month all the links are gone, you will send a clear spam signal to Google. While this is not a reason to get a penalty, it tells Google that your site has to be analyzed very carefully and ranked only if it sends enough quality signals to outmatch the negative signal sent by the disappearing links. It is believed that links take between three months and more than one year to pass the full juice to the linked website. A link from a PR2 page may pass all its juice in three months, but a link from a powerful PR6 page can take more than a year to pass all its value. This is another reason why your links must stick for a long time. It was observed that it takes between three to six month to see results of your link building campaigns, but the full power of your backlinks may take longer to be felt. Renting links through Links Management is the best way to keep your links alive for a long time, as the website owners will receive a monthly payment for keeping the link up and have all the reasons to do so. Even if some owners remove your link, you will be able to replace it with another one as soon as it was removed since the monthly budget will have additional dollars from the removed link. Replacing a lost link is always better than losing a link for good, because you will not suffer from negative link velocity. By increasing your monthly budget over time you can achieve sustainable growth in the power delivered by your backlinks and your website will rank higher in search engines. Higher rankings will translate into more visitors and higher earnings that will more than offset the costs of keeping the links alive. Done in the right way SEO can be the least expensive way to get targeted visitors to your website.